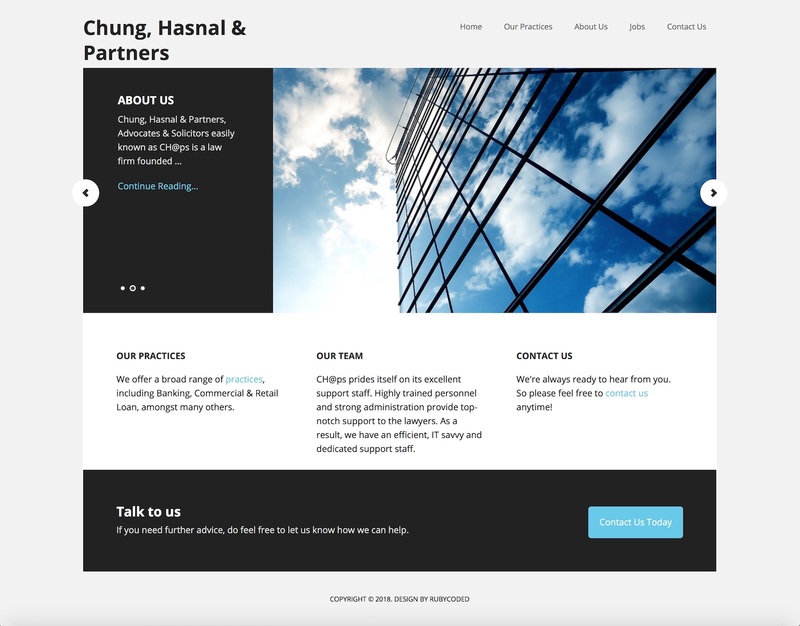 Chung, Hasnal & Partners, a legal firm. Chung, Hasnal & Partners has been in the legal business for over 25-years. The legal firm needed a website to reflect the firm’s dedication to modern technology to keep up with the rapid pace of technology advancements. Being a legal firm, it’s important that our website conveys the message that we’re professional and capable of serving our clients. Not only did RubyCoded do the job well, their after sales service has been excellent. Highly recommended for anybody looking for a true partner to build a website.